FREMONT, CA--(Marketwired - Dec 5, 2017) - In just a few short months, the Aurora advanced flow cytometry system from Cytek Biosciences Inc. has made a distinct impression on the scientific community. First introduced in June of this year, Aurora has now been sold into four continents -- Asia, North America, Australia, and Europe. Cytek's mission is to fill a gap in the industry by making high-dimensional flow cytometry accessible to a larger number of researchers -- and the company has its sights set on the remaining three continents. Offering capabilities that go beyond flow cytometry systems that come with a much higher price tag, Aurora's innovative system design -- which includes excitation optics and compact semiconductor detector modules with high quantum efficiency -- allows for the implementation of more detection channels per laser than conventional flow cytometry systems. Aurora's optical design and unmixing algorithm combine to enable the use of a wider array of dyes, including those with highly overlapping spectra -- a feat not possible using conventional cytometers. Citing Aurora's ease of use, unusually high performance-to-price ratio, experimental design flexibility and the high quality of the data produced, researchers in immunology, immuno-oncology, leukemia and lymphoma labs, cancer/stem cell research, and extra-cellular vesicle research are selecting Aurora. "Aurora is poised to act as a change agent in the clinical research field," noted Dr. Wenbin Jiang, CEO of Cytek Biosciences. "The early acceptance that we are finding with everyone from pharmaceutical and biotech companies to contract research organizations is an indicator that flow cytometry is starting to be viewed differently. Cytek has made the advanced medical instrumentation that was once available to very few scientists accessible to more researchers. With Aurora, more labs will have the ability to obtain deeper biological insights from a single sample -- and accelerate their fields of research." Please visit www.cytekbio.com for more information on Aurora and to learn more about Cytek's lineup of flow cytometry solutions, all of which are backed by comprehensive service plan offerings. 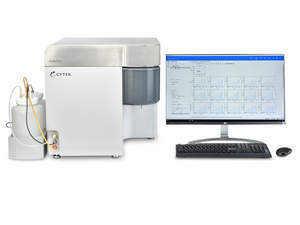 Cytek is a leading flow cytometry solution provider and provides compact, affordable instruments with high multiplexing capability and a wide range of services to support researchers and clinicians. Cytek Biosciences Inc. is the outcome of a merger between Cytek Development Inc., a leading pioneer in flow cytometry, and Cytoville Inc., a venture-capital-backed business focusing on advanced bio-medical instrument technology development. The company's headquarters are in Fremont, California with branch offices and distribution channels across the globe. To learn more, visit www.cytekbio.com and follow them on LinkedIn. About this company Cytek Biosciences Inc.
Cytek’s Aurora advanced flow cytometry system has sold into four continents since its June launch. By offering affordability and capabilities that go beyond pricier flow cytometry systems, it has made a distinct impression on the scientific community.